Poop is a harsh reality of dog ownership that most people neglect to talk about. Most view it as a messy byproduct they have to deal with in exchange for the companionship their furry friend offers. While it's not completely avoidable, there are things you can do to minimize their waste. 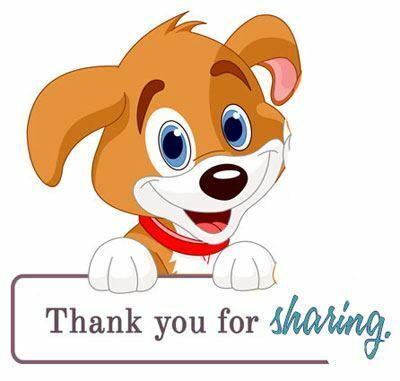 A dog's poop is directly related to their size and what they're being fed. When a dog eats, the useful nutrients and minerals are absorbed into their bodies for use. The rest is left on your lawn to be cleaned up. If your dog poops frequently or produces large quantities of the mess, you may want to adjust their diet. By understanding how your dog's body processes and utilizes certain ingredients, you can supply them with the essentials. They'll feel better, achieve better overall health, and dramatically reduce their waste. Here's a list of some of the best low-residue dog food to decrease your dog's waste output. 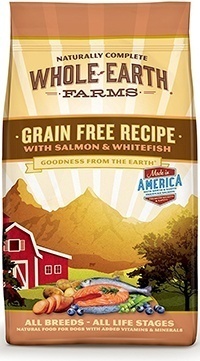 You won't find any unsavory fillers in this grain free formula from Merrick. It's free of soy, corn, wheat, and artificial ingredients. It contains beneficial proteins like salmon, salmon meal, and whitefish. Overall, the recipe is designed to provide your pooch with a balanced diet. Despite its lack of grains, the formula can help your dog absorb more beneficial nutrients with it's increased digestibility. This is done will healthy grain alternatives like tapioca starch, peas, and potatoes. With its healthy combination of ingredients, there's very little room to waste. Your dog will be able to utilize more nutrients as fuel to stay healthy. 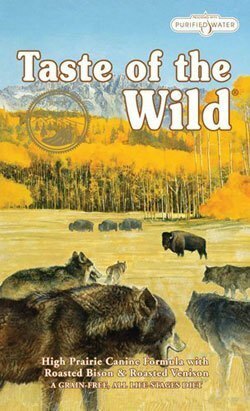 Taste of the Wild is a dog food that's designed to imitate the diet of a wild canine. It has a high percentage of protein and numerous types of meat to supply your dog with a wide amino acid profile. Some of its protein sources include bison, venison, lamb meal, fish meal, eggs, and much more. 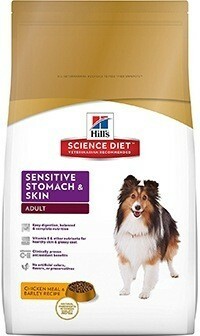 When it comes to digestibility, this dog food contains healthy ingredients to help with processing. It's grain-free and utilizes sweet potatoes, legumes, and other complex carbs. This helps to provide lasting energy throughout the day. In terms of fiber, the formula has a relatively low concentration. The entire recipe is made up of only 4% fiber. 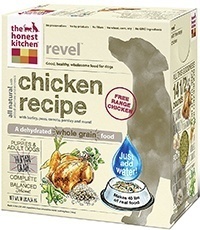 This option from The Honest Kitchen is great for puppies and older dogs that need a softer alternative to dry kibble. It's dehydrated at the factory. To prepare it, all you need to do is add warm water. The food retains its nutritional benefits during the manufacturing process. When it's rehydrated, the food multiplies in size to provide that full feeling. Another unique thing about this food is that it's made from human-grade ingredients. There's no preservatives, byproducts, or GMOs. Chicken is used as the main protein source. This formula does contain some grains, but they're organic and can help with digestion. There's also plenty of complex carbohydrates thrown in. 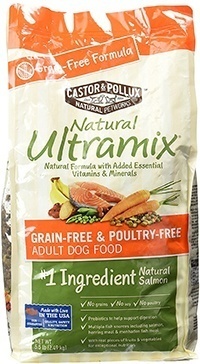 The grain-free formula from Ultramix is simple and made from high-quality ingredients. It has a high protein content of 30%. This particular recipe utilizes salmon, salmon meal, herring meal, and menhaden fish meal. The use of fish also provides your dog a great boost of omega fatty acids and antioxidants. Various fruits and vegetables are also used for vitamins and nutrients. These ingredients are added individually instead of mixed into the kibble pieces. You can see them right in the bowl. When it comes to fiber and digestibility, your dog will have no problem processing the food. It uses tapioca starch and potatoes. The dog food contains no corn, soy, or wheat, so your furry friend will use most of the product as fuel instead of passing it off as waste. From Hill's Science is this formula that's specifically made to combat digestive issues. The blend of ingredients can help your dog absorb more beneficial ingredients and avoid uncomfortable stomach problems. It can also help your dog produce less waste and become more regular. The main protein source is chicken meal. Brewers rice is used to improve digestibility. As an added perk, the formula can improve your dog's skin and coat. It has a healthy dose of Vitamin E and omega fatty acids. There are no artificial flavors or additives. Natural tocopherols are used as a preservative to keep the food fresh without harming your dog's system. Is Too Much Poop All That Bad? Pooping is a natural act, so it can't be all that bad right? Your dog's waste can actually tell you a lot about what's going on in their body. Beyond the normal signs of concern, too much poop can be an indicator that your canine companion is experiencing medical issues or not absorbing enough of the food to be healthy. Certain health conditions like Colitis, bacterial infections, kidney disease, and much more will typically cause a noticeable increase in size and volume of their stool. If that's the case, it's important to seek veterinarian care as soon as possible. Usually, poop will return to normal after treatment. But what if they excrete large waste on a regular basis? One of the most common causes of significant waste is mediocre kibble. Many dog food manufacturers include cheap fillers into their dog food formulas to cut back on production costs. While these fillers will certainly make your pooch feel full after every meal, they aren't doing much in terms of health and digestion. Most manufacturers use cereal and grain-based ingredients as fillers. These include corn, soy, wheat, rice, and much more. Some even incorporate an ingredient known as cellulose, which is nothing more than sawdust. These fillers add no substance to the dog food. In fact, they can make Fido's meal more difficult to digest. Dogs have very sensitive digestive tracts that aren't designed to handle grains. Your pup may be experiencing discomfort without you even knowing it. Because these fillers don't contain much nutritional content and your dog's system isn't designed to accommodate them, they pass right through and create more poop than needed. Another type of ingredient that doesn't help is fiber. Some examples of fiber are beet pulp, soybeans, and many grains. It's often included in foods to help your dog digest the meal better. Fiber is also used in diet foods to help your dog lose weight. 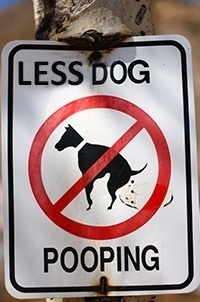 While it may provide some positive benefits, extra fiber will only make your dog poop more frequently. A wild canine's diet usually consists of only 6% fiber. Dog foods, however, often contain upwards of 30%. It's always recommended that you supply your dog with a high-quality dog food that's made with superior ingredients. While most people think that this always comes with a higher price tag, there are many affordable options on the market. More and more manufacturers are creating grain-free and low-residue formulas to help health-conscious dog owners. The key to selecting the right option is to take a look at the ingredients list. A low-residue diet is designed to supply your dog with the essential ingredients they need and little more. With this type of dog food, manufacturers leave out the unnecessary fillers in favor of healthy ingredients your dog needs to thrive. The food supplied to your dog is nutritionally dense. This results in better absorption and less waste. Here are some things to keep in mind when shopping for food. Protein is one of the most important ingredients to watch out for. Many experts suggest that you go with a raw food diet consisting of nothing but pure protein. However, there are many great dog foods that consist of high levels of protein from various sources. Lean meat sources like chicken, bison, and fish will do wonders for your dog's health and poop. They'll use up every bit of that protein as fuel, so make sure that the protein source is at the top of the ingredients list. Digestibility refers to how the food passes through your dog's system. There are a number of factors that affect the process. It all depends on the types of ingredients used, the ratio of ingredients relative to the overall formula, and how the ingredients interact. Manufacturers will often display the food's digestibility rating in percentage form. It's recommended that you go with a food that has a digestibility rating of 80% or more. Fats are essential for your dog's immune system, energy, and taste buds. However, too much of it can wreak havoc on your dog's digestive tract. It can lead to diarrhea and oily poop. Not only that, but it can also cause your dog to do the deed more often. Formulas with a fat percentage of less than 15% are ideal. If your dog has healthy teeth and has no problem chewing, you should always stick with dry food. Dry food is always more concentrated than wet varieties. Wet food usually contains a lot of water and additional juices. As a result, you'd have to feed your dog more wet food to match the nutritional content of a smaller amount of dry food. The amount of food your dog gobbles will play a part in how much stool you're dealing with. Dogs should be fed enough nutritional content to support their size and lifestyle. Certain breeds also have their own specific requirements. It's important to monitor their activity and adjust accordingly to prevent a drastic change in their overall weight. While you may be accustomed to feeding your canine companion a set amount of food each meal, you need to follow the guidelines placed on the package by the manufacturer. The nutritional content of food varies from formula to formula. If you're making the switch to high-quality concentrated food, you may find that your dog will require less kibble to stay healthy. Changing up your dog's diet can make a huge difference in their poop. Not only will you have less waste to pick up on a daily basis, but your dog will experience a bevy of health benefits along the way.